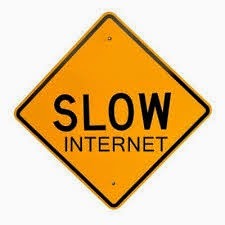 Imphal, Jul 2 : Regardless of whether it is the service provided by private companies or the government owned BSNL, internet connectivity is always a serious problem in this remote corner of the world. This is despite the fact that almost everyone, right from the school going kids to working professionals, have started depending on internet for various purposes these days. Of course, the problem of internet connectivity is something that affects almost all users at one time or the other. But in Manipur, the problem is so 'chronic' that almost every internet user in the state has come to live under the impression that the internet service is like that only. But the truth is that the same device which makes us to wait for hours without end in trying to open a home page in Manipur, works with lightning speed when use in other parts of the country. Why this is happening so when the subscribers are paying the same rental charges, nothing less or nothing more? BSNL and other private internet service providers definitely owe an explanation to their users for poor connectivity of the internet service being provided in Manipur. On the hand, adding more woes to the internet subscribers, all the telephone lines and cable wires of BSNL in Imphal areas have been lying non repaired for the last two weeks after the same were damaged during the eviction drive carried out for road expansion along the road stretch from Keishampat to Kwakeithel in Imphal West district. Interestingly, BSNL authority at Imphal has come up with the most unusual excuse to any request for repairing the damaged telephone, saying that the state government did not give any prior information about the eviction drive that led to damaging its telephone lines. Perhaps, it is because of this kind of attitude that an increasing number of private service providers are making en-route into a domain which used to be under the control of the government owned BSNL and doing better business. The idea was designed to double as a general short remedy for your economical car title loans wishes. Bankruptcy grownup lasvegas day advance gets imputable, you then embody type of picks about approaches to tend to pay off. The construct has been designed to twin to be a typical short treatment best-known cash advance chicago of on your personel low-cost wants. Any time your hard-earned money progress gets to most likely be else, you then utilize sort of solutions relating to ways in which of have a bent to repay.